Junior Hannah Brown talks with student government President Sam Miller during an Aug. 27 meet-the-senators meeting. Brown was one of the few to attend the meeting. New rules and meeting procedures are among some changes made to the student government’s regular weekly meetings, which are now held at 5 p.m. every Monday in the Cambria Room. In previous years, hour-long meetings were held at 9 p.m. Tuesday nights. President Sam Miller said the meeting time was changed to give commuters a better opportunity to attend meetings. Vice President Gretchen Shepard said she hopes to make the student government more open. “I’m just excited to bring (student government) back to a positive light. We are also trying to make (student government) seem more professional since we are the highest-ranking club on campus,” Shepard said. 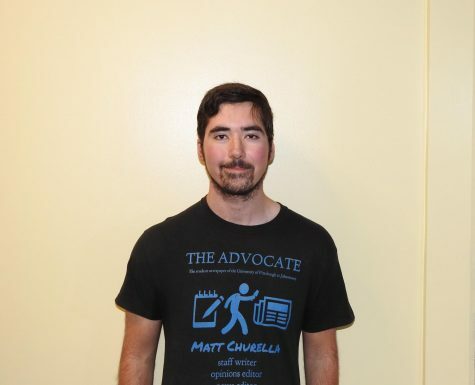 Miller said student senators are required to wear gray polo shirts—which has the student government logo—to meetings, so they could feel more comfortable and not have to go through “the hassle of dressing up” to represent students. He said the new apparel also makes senators more approachable to students. “We are not people wearing suits, we are people wearing polos,” Miller said at a special Aug. 27 “meet-the-senators” meeting. Executive-board member Thomas Messer said he likes his new polo uniform. 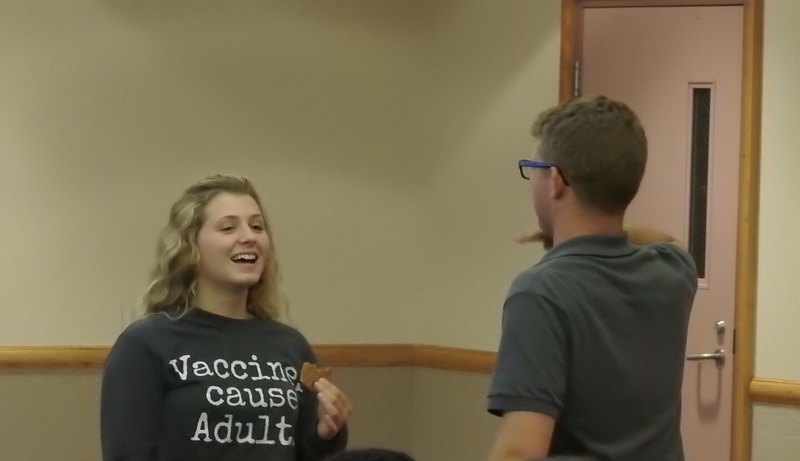 “It shows more unity as a group instead of people constantly guessing ‘Oh, is this appropriate to wear to the student government thing?’ It’s a lot easier to coordinate, I guess,” Messer said. Messer said he also likes the meeting’s time change because it makes attendance easier than having to stay on campus. Some changed procedures include not allowing senators to use their phones during the meeting and having a discussion topic for students to voice their opinions about, which Miller said he hopes to advertise prior to each meeting. It is unclear what action, if any, would be taken against a senator if he or she was caught using a cell phone during a meeting.